The Ambanis made everyone drop their jaws to the floor with the extravagant sangeet ceremony of Isha Ambani and Anand Piramal in Udaipur. 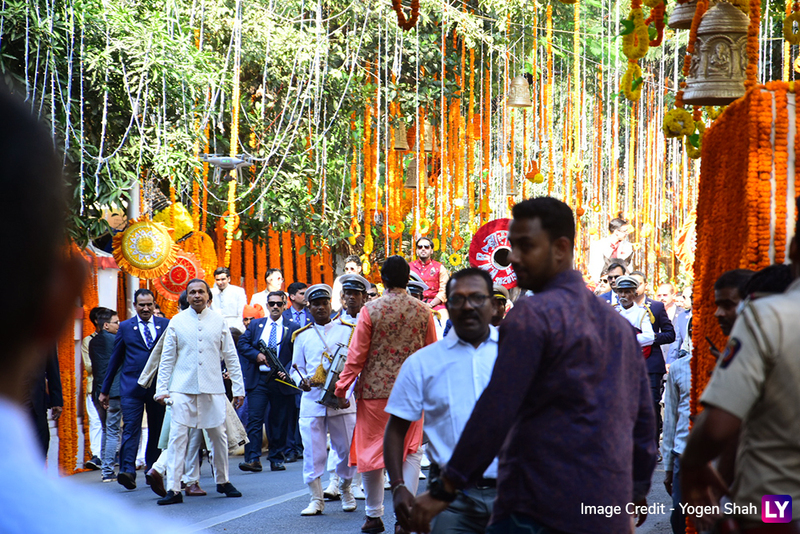 After the festivities that saw international pop star Beyoncé perform, the 'royal' family is back in Mumbai and today the couple will get married at Ambani's private residence, Antilia. 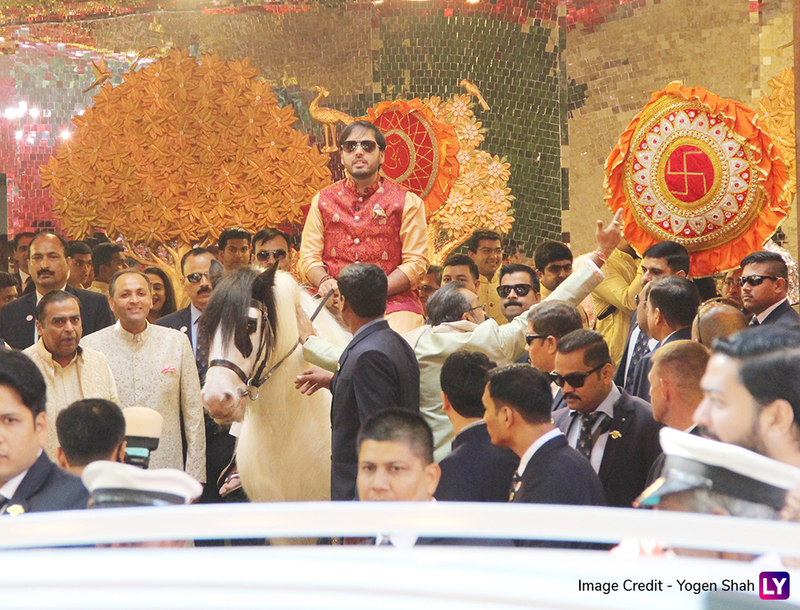 As the business tycoons gear up for the marriage, Mukesh Ambani's sons Anant and Akash were seen having a great time during the pre-wedding celebrations while riding on horses. 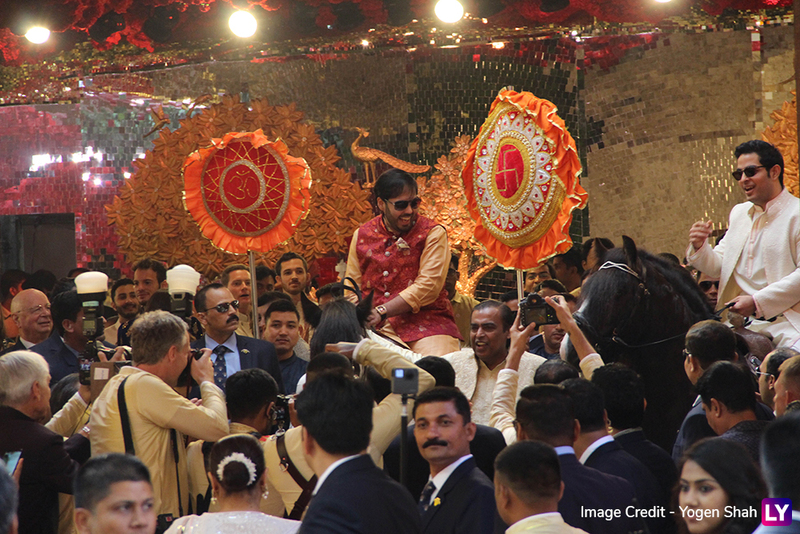 While we are not sure if it's the part of some tradition for the bride's brothers to sit on horses, they seem to be in high spirits at their sister's wedding. Antilia has been adorned in beautiful roses and marigolds brightening the festive spirit. Akash is soon to be married to Shloka Mehta, director of the Rosy Blue Foundation. The duo got engaged in a grand ceremony at Antilia which was attended by the Who's Who of Bollywood. 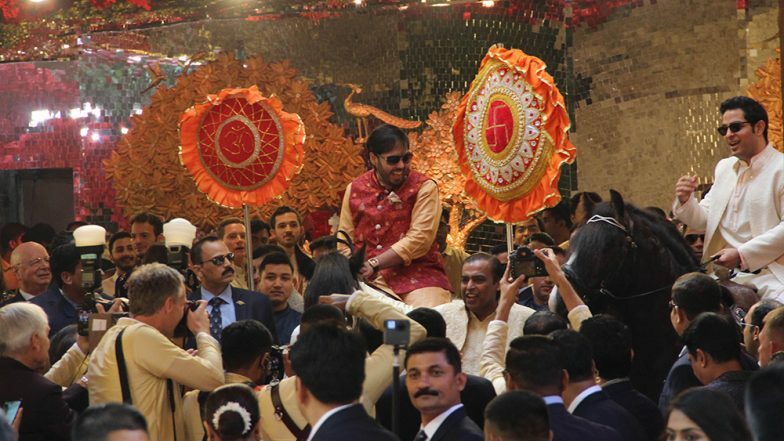 Isha Ambani-Anand Piramal Wedding LIVE Updates. Meanwhile, Anant Ambani is rumoured to be dating Radhika Merchant. Just like speculations, she attended Isha and Anand's pre-wedding ceremonies and was even seen dancing with the family members on Jab Tak Hai Jaan's title track. She had also danced to Ghoomar at Akash and Shloka's engagement ceremony earlier this year. Isha Ambani-Anand Piramal Wedding: From the Dreamy Proposal to Sharing a Kiss on Their Sangeet, These Pics & Videos Are Proof that The Two Look Adorable Together. Isha Ambani is the only daughter of Reliance Industries Chairman and Managing Director Mukesh Ambani; while Anand Piramal, her childhood friend is the son of business tycoon Ajay Piramal. Their pre-wedding ceremony in Udaipur saw the likes of Priyanka Chopra and Nick Jonas, Shah Rukh Khan and Gauri Khan, Aamir Khan and Kiran Rao, Karan Johar, Salman Khan, Katrina Kaif, Vidya Balan and Aditya Roy Kapoor, Karishma Kapoor, Varun Dhawan, Aishwarya Rai Bachchan and Abhishek Bachchan. Former US Presidential candidate Hillary Clinton also attended the festivities.